Does the Election Make You Feel Empty? Good. We spent two years preparing for an election. We've listened, read, discussed, and debated. But even if the candidate you supported won the election, there is still a sense of something missing, something unfulfilled. That is because no human being can answer infinite desires and hopes of the human heart. In comparison, the Church gives us just four weeks of Advent to prepare ourselves for the One who can and does answer the infinite desires and hopes of the human heart. When we elect a candidate, we do so hoping that he or she will somehow live up to their promise to make me happy or to make life better. We hope that he or she will not let us down too much or will provide some improvement for a few years. Advent, however, is not about hoping that the One whom we are waiting for will somehow be able to make me happy. Advent is rather a time to prepare my heart--to enlarge my heart--to receive One who far surpasses my hopes and desires. We've spent two years entirely focused on some human beings who will never be the answer to our heart's deepest longing. What if we spent the next four weeks enlarging our hearts through prayer, sacred reading, charity, and sacrifice so that our hearts were ready to receive the One who is MORE than what I hope for? Do we know our political candidates better than we know Jesus Christ? Do we place more hope in our political candidates than we do in Jesus Christ? Do we prepare more for the arrival of a political candidate than we do for the Coming of Christ? Do we worship politics? Advent is a gift to us. Let's spend it well. Let every heart prepare Him room. My Dad doesn't get to the movies very often. Actually, the last film he saw in a movie theatre was "One Flew Over the Cuckoo's Nest" back in 1975! I'm not quite that bad, but I can go a year or two without seeing a film at the theatre. This past week, however, I went to see "Hacksaw Ridge," and boy am I glad that I did. Although violent (as war tends to be), the film had a wholesomeness about it that left me feeling like I had spent a couple of hours with some exceptionally good and virtuous people. The true story of Desmond T. Doss is inspiring. Doss enlisted in the Army during World War II, but did so as a conscientious objector. He wanted to serve his country, but because of strongly held religious beliefs, he refused to bear arms, to use violence, or to take human life. Because of his principled stand, Doss was despised, mocked, and brutalized by his trainers and by his fellow soldiers. They did everything possible to get him to betray his principles. When that failed, they tried to force him to quit. When that failed, they courtmartialed him. Again and again, attempts were made to get Doss either to compromise his principles or to quit altogether. He stood firm. Ultimately, he triumphed and was allowed to serve as a medic. When one watches the film you cannot help but feel for Doss. He is trying to do what he believes God wants him to do. He is not trying to hurt anybody. He wants to serve and to risk his life like all the other soldiers. The only thing he cannot do is to use violence. But everyone tries to coerce him. Everyone tries to persuade him to back away from his deeply held beliefs "even just a little bit." Or, they try to get him to leave the system. If he would just take his religious principles elsewhere but not try to live them in the Army, then that would be fine. Either his religious principles need to be forgotten or Doss needs to be forgotten. But Doss doesn't yield. He stands firm. He stands firm graciously and politely, but he stands firm. Standing firm in religious beliefs is not always easy. Standing firm on principle is not always easy. Sometimes people's reputations, livelihoods, and even their lives are put on the line. It can be made even more difficult when friends attempt to persuade the person to "give in just a little bit." We saw this, for example with the Little Sisters of the Poor and the government mandate requiring them to provide contraceptives and abortifacients to their employees. Even Catholics would say to the sisters, "It's not such a big deal. Just do it and then you can continue doing all the good work that you do." I imagine it must be most distressing when even your friends and comrades attempt to persuade you to give up your deeply held religious principles. I have to be honest, if somebody were shooting at me, I'd want to shoot back! I, however, deeply respect and honor another person being a conscientious objector to all forms of violence. I admire that person, especially when they are willing to suffer such drastic consequences for their beliefs. It is in the finest of American traditions to respect the deeply held religious beliefs of others and to make every reasonable accommodation for them. When someone is willing to lose prestige, power, their livelihood, their reputation, and even their life for some deeply held religious belief, we ought to stand up and take notice. If the person has something to gain by doing it, perhaps it makes us more suspicious. But, if the person has everything to lose by standing firm, it ought to merit our attention. It's easy to go along with the crowd. It's easy to go along to get along. Risking everything, however, is very difficult. And risking everything and remaining peaceful is even more difficult. But one thing that often seems characteristic of those who are willing to lay everything down is their equanimity. They are not beating the war drum. Instead, they are so confident about the rightness of their position that they become increasingly more peaceful. 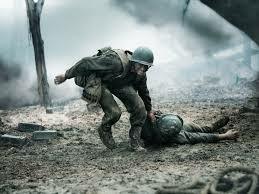 (Spoiler Alert for the Movie) Desmond Doss single-handedly saved 75 men at Hacksaw Ridge. Even after everyone else had fallen back and returned to safety, he remained on the ridge looking for wounded. All night long, he found wounded soldiers, treated them, carried them to safety, and then lowered them off the ridge using a system of ropes and knots. He was under constant enemy fire. He was ultimately awarded the Congressional Medal of Honor. Many men would eventually owe their very lives to the man they had previously accused of cowardice. The man who was willing to stand his ground for his religious beliefs was also willing to stand his ground for his comrades. The man who endured the assaults of his comrades became the man who withstood enemy fire to save his comrades. It can be very tempting to demonize, mock, and punish those who hold firm in their religious beliefs, especially those beliefs that deviate from the popular culture (whatever that may be at a given moment). The life of Desmond Doss, however, ought to serve as a poignant reminder to all of us that the people who are willing to lose everything might just be the ones who will save us. On Tuesday nights at the BU Catholic Center we host a dinner for all of our students and then have some sort of formational talk and discussion on some Catholic topic. Topics range from Catholic Social Teaching, Mental Health Issues and how they relate to Faith, Marriage, Religious Life, etc. Last night, because it was election night, we didn't want to avoid the election discussion, but we didn't want to get bogged down in the usual political quagmire. We wanted to propose something positive. Since the Enlightenment, society and culture have become detached from their Christian roots. This detachment leaves us unhinged and basically living a whimsical type of existence. We bounce from one thing to the next, our morality is fluid, and nothing grounds us. When this happens, we become slaves of the ephemeral. Before long, we place all of our hope in a political figure; a political figure who himself (or herself) is detached from the roots of Christian culture. If I could provide an image that might be helpful: It would be as though we were swept away in a riptide. What we should really do to help ourselves is to find away to reattach ourselves to the land. If there were someone standing on shore with a rope and they threw it to us, then we should grab hold of that line. Instead, we find ourselves in the riptide along with others. One of the others has a rope and so we enthusiastically grab hold, but unfortunately, we are only attached to that person who is also being swept away. Is it possible that politics has become increasingly divisive not because people have more deeply held beliefs, but because they no longer have any roots? We are like a drowning person flailing in the water, willing to grab hold of anything. The problem, however, is that what we are holding on to is also being swept away. And so, every two years or four years, we place all of our hope in some drowning candidate who is farther from shore than the previous candidate. Along the way, we might have moments of calm seas or moments of rough seas, but the reality is that we are all drifting further into the abyss. That's the bad news. So what can we do? It's true that the people we elect do have an effect on society and that they have an important job. But, who we elect shouldn't define our whole life. What should define our whole life is who elected us: Jesus Christ. We were chosen by Him and the more we live our lives attached to Him, the more we have something positive to offer to the world and to the culture. No political candidate, party, or system can save us because they too are drifting out to sea. We need to attach ourselves to the foundation of Christ. One proposal in recent decades that has been made is called the "Benedict Option." Without getting into too much detail here, it basically says that instead of investing so much of our time and energy and all of our hopes in the political realm with its ever changing landscape, we should focus on building small, intentional Catholic communities where we can grow in virtue and attach ourselves more firmly to Christ. The idea is named after St. Benedict who, when the Roman Empire was collapsing, withdrew from it and founded monasteries where monks lived a Christian life together and became the people who preserved western culture. The Benedict Option is not to say that we should give up on the world, to isolate ourselves in Catholic ghettos, or to stop bearing witness. But, what I think it proposes is that we need to stop thinking that a system that is totally detached from its Christian foundations is ever going to save us. It is too whimsical and subject to radical change. Instead, we focus on growing in Christian life. The Benedict Option (and similar proposals) is about living a more intentional discipleship. It is not about escaping from the culture. It is, in my view, about influencing the culture by first living a Catholic life with others. Rod Dreher, who coined the idea, proposes various aspects of this option. Among them are living with the end in mind (the end being loving and serving God), seeing our work as sanctifying, having time for prayer and silence, being hospitable and open to others, having stability (i.e. keeping close to one another and following the same thing together), and being focused on living our community life in Christ and growing in virtue together. I think there is no one model for this. It is something that allows for creativity. It may be a parish in some instances or small Christian communities or one of the new movements in the Church. It is in these small Catholic communities that we discover friendship, truth, beauty, and goodness, and it is where we learn to become virtuous. From my experience, the BU Catholic Center is like this for many of us. The students don't come here in order to hide from the "great big world out there." They are involved in various clubs, sports, and activities. But, at the Catholic Center, they are anchored to Christ. They learn how to live in the culture as people who are different and free. They are not enslaved by a system that is drifting out to sea. Instead, they are able to immerse themselves in any environment because they are tethered to Christ. They are free. Some feel as though Western Civilization is already extinct. Others feel that it is still salvageable. Either way, the situation is grim. One thing of which I am confident is that neither Hillary Clinton nor Donald Trump are going to be the lifeboat that saves our culture. So much time, money, and energy has been spent on choosing between grasping onto one of two individuals--both of whom are caught up in the same riptide as the rest of the culture. They are not going to save us. Maybe they will make things more or less bad, but they are not going to save us. The answer may well be found in the Benedict Option (or in similar proposals). 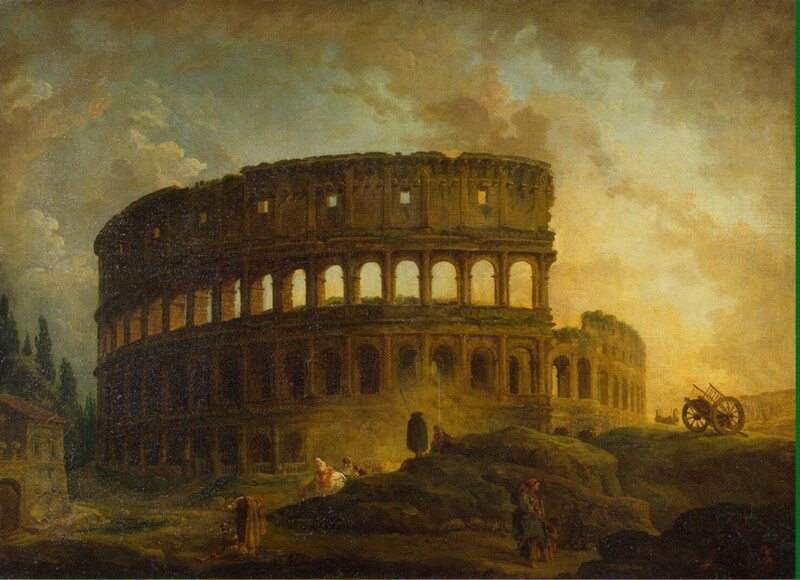 It's tempting to think that the empire can save us if only we get the right emperor, but the empire is being pulled into the abyss because it is detached from its roots. It is appealing to think that all we need to do is to get the right emperor and everything will be fixed. But, the cure is not going to be found in a political election. The cure is found in reattaching the culture to the root of life, Jesus Christ. In order to do this, we need to start with ourselves and, as one drifting soul after another sees us holding onto the lifeline from the shore, they too will grab hold. When we are all holding on together to Christian culture, we can elect good leaders. But, we'll do so with the very calm realization that we are electing a leader, not a savior. Because we don't elect a savior. He elects and chooses us and that is our foundation. 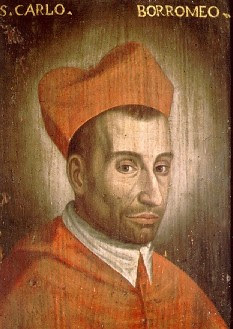 Today the Church celebrates the Feast of St. Charles Borromeo, one of my favorites. I love St. Charles! Known for his zeal, humility, untiring love for the poor and the ill, his pastoral wisdom, urgent renewal of the clergy, and for the formation of seminarians, Charles Borromeo is one of the great pastors of the Church's history. His example inspires those of us who are priests to continue to grow in our vocation. In the face of the protestant reformation, St. Charles saw the need for the renewal of the clergy, for better catechesis, and for zealous pastoral care of the flock. Many dioceses suffered greatly because their bishops were not resident in their dioceses. They were absentee shepherds. Charles saw how detrimental this was to the care of the flock. This temptation is still one that afflicts priests and bishops. While shepherds are ordained for the whole Church, their primary responsibility is the particular flock entrusted to their care. Quite often, however, bishops and priests can become disinterested in their particular flocks and become immersed in other things. St. Charles probably drove many in his diocese crazy because suddenly they had a bishop who was in residence. He was concerned with everything about his local church. He was involved in the formation of clergy, the catechesis being given in parishes, and the worthy celebration of the liturgy. A resident bishop meant that corruption within the local church (which was rampant) was no longer ignored. Despite being a zealous reformer, Charles was also noted for his extraordinary humility. It is no wonder that he is often held up as the model of a good bishop. His feast day provides all of us who share in the ministry of shepherds the opportunity to reflect on our own need for renewal, holiness, and pastoral zeal. While in Charles' day, bishops were often physically absent from their particular dioceses, today we run the risk of being physically present but detached, nonetheless. Pastors (bishops and priests) can be so immersed in extrinsic realities that we become disinterested in the souls entrusted to our care. Despite being called upon to engage in many other responsibilities, Charles never lost sight of the people for whom he had pastoral care. Charles reminds us that renewal in the Church is always first and foremost about holiness. It is about teaching solid doctrine, worshipping well, and growing in holiness and virtue. It is often a temptation to think that renewal in the Church is about reordering external realities. But St. Charles reminds us that it is about interior renewal. It is about reordering our lives to Christ. Renewal in the Church requires priests to become holy. Charles challenges us priests to grow in humility and in zeal. Although Charles died at only 46 years of age, his record of activity is extraordinary. He served the Church zealously and became the model pastor. I'd say the one thing that he did that was most important was he stayed with his people. We live in an age when shepherds can leave their flocks untended, not only because of the ease of travel, but also because the media available to us enables us to become less engaged with the people entrusted to us and more engaged with the world wide web. Pastors can become more and more remote from their people by creating layers and layers of bureaucracy between themselves and their people. Renewal, however, comes when shepherds know their sheep and are close to them. St. Charles Borromeo was a great pastor because he could say with Christ, "I know my sheep and mine know me." Today, I returned to my first parish assignment in order to offer the Funeral Mass of a 27 year old man. I don't think I've offered Mass in that church in seventeen years. It was a profound experience to be back. I didn't preach from a text, but this is the general idea of the homily. In the midst of so much sorrow and pain today, there is nonetheless a sense of fittingness in being here in this church. The other day when Matthew's parents called me to tell me of Matthew's death, I was struck by a couple of things that they said; things that can help us to make our way through the maze of grief and suffering that today overwhelms us. Firstly, they told me how grateful they were that Matthew was able to spend the last days of his illness at home. Again and again, you have repeated how much it meant to you to have him home. This deep desire of yours to have your boy "home" really moved me. It was what a desire that was truly parental. You wanted him to spend his last days at home. I presume that you wanted him home because "home" is where he could feel safe, feel loved, feel comfortable. This desire of yours is so beautiful. So profound. It speaks so profoundly of your fatherly and motherly love for Matthew. You wanted him home. This desire of yours, however, is even deeper than that. Our presence here this morning at Mass is a recognition that your desire for Matthew to be home didn't end at the front door of your house. That desire brought you here. You recognize by Faith that Matthew's true home, as St. Paul reminds us, is in heaven. Just as you brought your son home from the hospital so that he could spend his last days on earth feeling comforted, safe, and loved, now you bring him to the threshold of eternity. You know that Matthew was made for to feel infinitely safe, infinitely, comforted, and infinitely loved. You wanted Matthew to be home. God the Father also desires Matthew to be home. For this purpose, he sent his Son to suffer and to die for us. 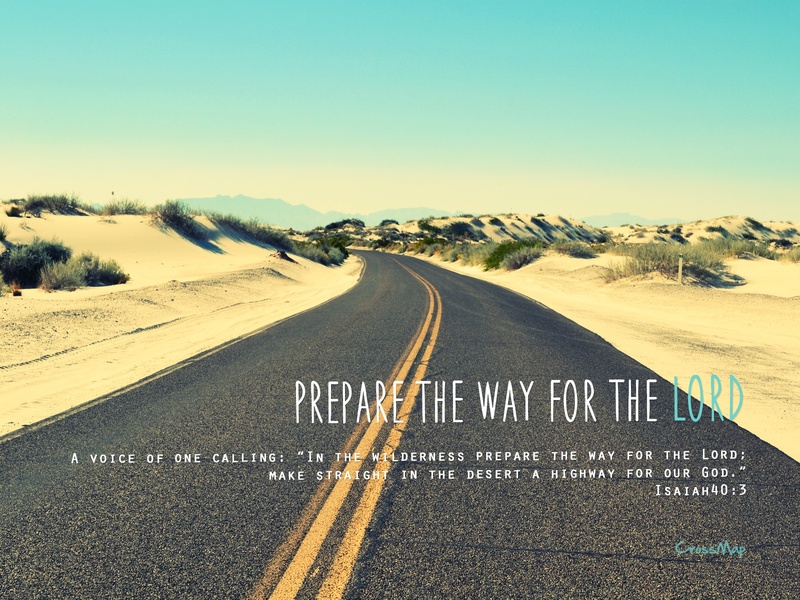 Jesus said in the Gospel today, "You know where I am going." Where was he going? He was going to prepare a place for us in the Father's House. And he says that he is the way to the Father. By bringing Matthew here today, you do so with the serenity of Faith. You trust that Jesus who died and rose did so so that Matthew could go home to the Father's House. The second thing you said to me that struck me is that Matthew was a peace maker, always bringing people together. Often when I offer a Funeral Mass, I look to see what feast day the Church is celebrating, thinking that God might want to offer us some word of consolation from the liturgical feast. Today, the day of Matthew's funeral, the Church celebrates the feast of St. Martin de Porres. St. Martin was born in Peru and suffered greatly because he was of a mixed race. Eventually, Martin joined a religious order (and still suffered). But, he was known to be a great peacemaker. In fact, when you see him depicted in art, often at his feet are images of a dog, a cat, and a mouse. The reason for this is because they'd say that Martin was such a great peacemaker that he could even get the dog, cat, and mouse all to get along. 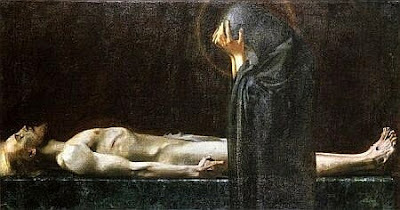 It is fitting then then we celebrate Matthew's funeral Mass on this Feast of St. Martin. Of course, you know that true peace comes only from God. God desires all of us to experience the peace of his very life. For all eternity, the Father, Son, and Holy Spirit dwell in a perfect communion, a perfect peace. Through sin, we were no longer at peace with God and with one another. Through our own fault, we became God's enemies. But God did not abandon us. He wanted to draw us into his Divine life, into his Divine peace. And so, he sent His Son to reconcile us to Himself, to reestablish peace between us. He did that on the Cross. On the day of Matthew's baptism, Matthew came to share in the Divine life. God reconciled Matthew to Himself. The peace of the Blessed Trinity came to dwell in Matthew. We are here today because God wants all of us to be reconciled to Himself. He wants all of us to share in his gift of peace. It is indeed fitting for us all to be here this morning. Nothing I say can take away your sorrow, nor should it. It is right for us to mourn and to be sorrowful. But, as St. Paul reminds us, we mourn differently than the world mourns. We mourn with hope. The world sees death as the end. The world sees this life as our only home. For us, we know by faith that our home is to be with God. We know that we are made not for just a passing experience of peace, but for the perfect peace given to the blessed in heaven. On a personal note, I wish to commend you. You not only provided your son the opportunity to experience peace in his own home during his last days on earth, but you bring him here today and you pray for him and entrust him confidently into the arms of Jesus. In praying for Matthew, you continue love him by bringing him to Christ who is our lasting peace and the way to the home of the Father. May the saints and angels welcome Matthew into the embrace of his heavenly home and may God grant him never ending peace. When I graduated from seminary college back in 1993, I had the opportunity to be commissioned in the US Navy Reserve as a Chaplain Candidate. For the next few years, I would spend summers doing reserve drilling. It was a great experience. During my third summer, I was stationed in Newport, RI and attended Chaplain school. Every morning, after physical training, there would be a general Protestant service, Jewish prayers, and Catholic Mass. More often than not, the Lutherans in our group would opt to attend Catholic Mass rather than the general Protestant service. One of those Lutherans--a Missouri Synod Lutheran, to be precise--and I became pretty good friends. We spent much of that summer hanging out, laughing a lot, and playing tons of cribbage. That friendship and the experience of that summer is on my mind this week because there has been so much discussion about the upcoming 500th anniversary of the Protestant Reformation. For me, my friendship with Ryan--whom I have not seen in 21 years--has shaped a lot of how I view ecumenism. I understand that there is a need for "formal" ecumenical relations and committees etc, but I found our friendship far more productive and real than a lot of the dialogue that goes on in official circles. One of the things that I found compelling about Ryan is that he knew his stuff. He understood what a Lutheran is and acted in total fidelity to that vision. He didn't soft pedal his Lutheranism, try to make it more palatable to a Catholic, or become wishy-washy. I found this kind of honesty and integrity refreshing. My guess is that Missouri Synod Lutherans are probably looked down upon by some of the other Lutheran communities because they are kind of immovable on certain things. But, I liked this. I knew who I was dealing with. For Ryan, words, ideas, principles, and theological statements actually meant something. We couldn't just skip over words that made life difficult in solving the divisions that exist. Words mean something. When Ryan came to Mass with us Catholics, communion time wasn't awkward. It wasn't awkward because for Ryan and for us, words mean something. We shared some level of communion together, but we were not in full communion with each other. In fact, if someone had told Ryan to come to communion, he probably would have been horrified. He wouldn't want to receive communion unless we were all actually and really in communion. And Ryan would have zero issue telling a Catholic that if he or she came to his service, that they should not receive communion. Is it a punishment that prevents us from intercommunion or misunderstanding? No. It is a real difference. When communion time came at Mass each morning, I didn't feel awkward in the least. I did feel sorrowful. I was sorrowful because there was a separation. That separation is real. By not receiving communion, Ryan was a visible reminder of the painful and real division that exists. And yet, by faithfully attending Mass each day, he was also a visible reminder of the real, albeit partial union that does exist. Over the years, I've watched from a distance as Ryan and his wife have raised a family and as he has been promoted up the ranks of the Navy. I've no doubt that the Sailors and Marines to whom he has ministered are truly blessed. He is a faithful and great chaplain. His friendship remains a reminder to me of the painful division that exists among Christians and how we should work and pray to heal those divisions. 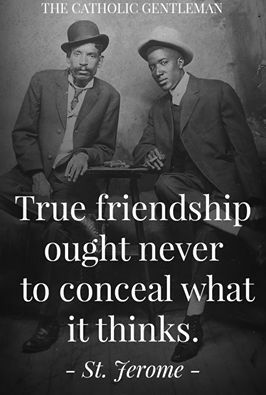 But, his friendship is also a reminder that the only way for those divisions to be truly healed is through true friendship and through sincere fidelity to the truth. What I liked about Ryan coming to Mass and praying was that he gave an example of how much unity exists. But, by not coming to communion, he also showed how much unity is missing. It was truthful. I learned a lot from that experience. Much of our friendship that summer took shape while playing cribbage. Who won the most hands, I am afraid, is lost to the fog of history. I am positive, however, that neither of us would ever have "let the other guy win" because that would have been false, and friendship is built upon truth. I long for the day that Ryan and I can share at the one Eucharistic table, but that day is not now. To do so now would be false. And true friendships--true communion--is built upon truth. And this kind of truth--one that is admittedly painful--is so much better than a falsehood that is easy and cheap. One of these days, Ryan and I will meet up again and I will beat him in cribbage, and that will be our contribution to ecumenism.